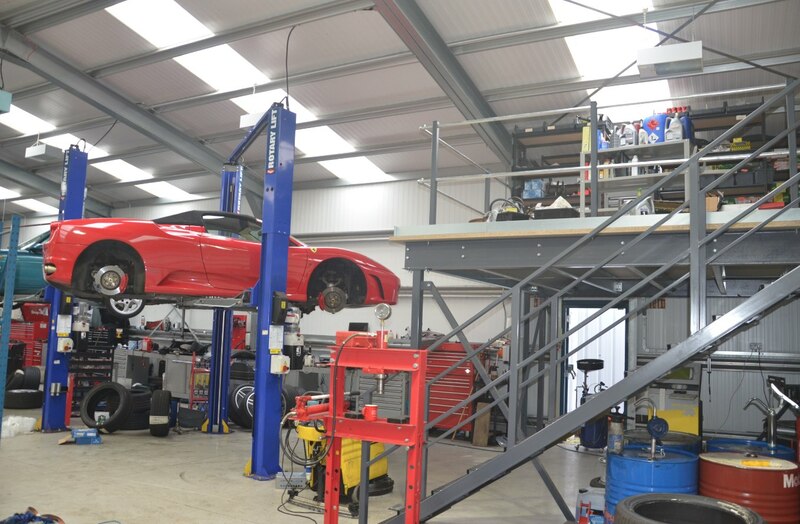 Dove House Motor Company in Rushden is one of the UK’s leading Porsche and Prestige Sports Car specialists. They have a temperature controlled viewing environment where customers can view a large selection of vehicles such as Porsche, Ferrari, Lotus and Aston Martin as well as Maserati, BMW, Mercedes and other premium marques all under one roof. 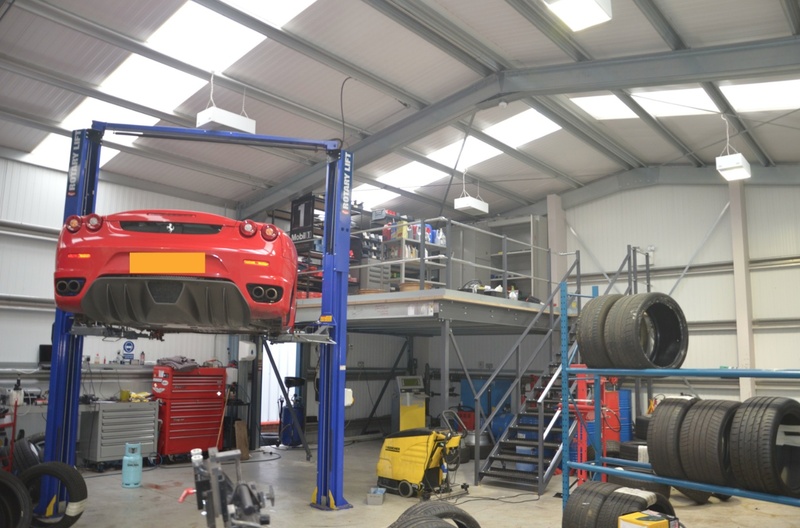 The customer needed to find more space in their existing workshop/stores area after a new car lift had been installed and had left them short on space. A mezzanine floor was the best option to provide an additional 26 squ metres of storage space to hold lubricant drums and some larger equipment and shelving for lighter items. 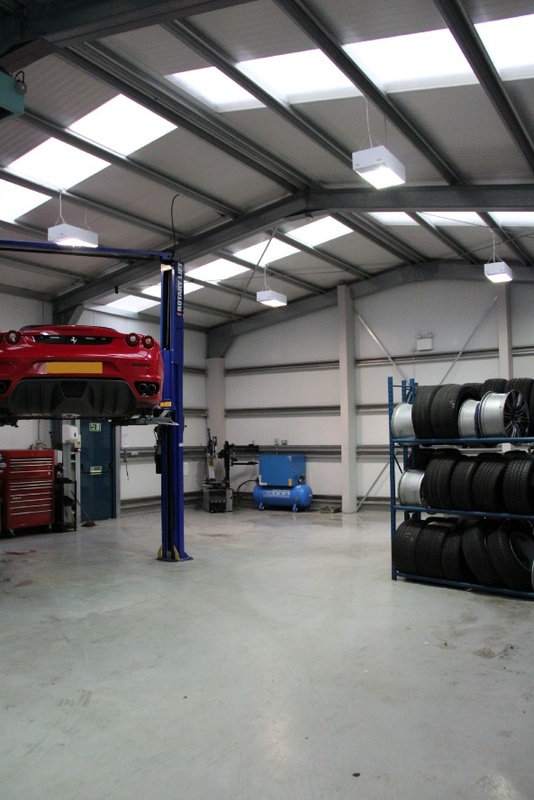 A new tyre rack could be fitted along the edge of the floor, adjacent to the car rig to allow for convenient ‘ready to use’ storage. 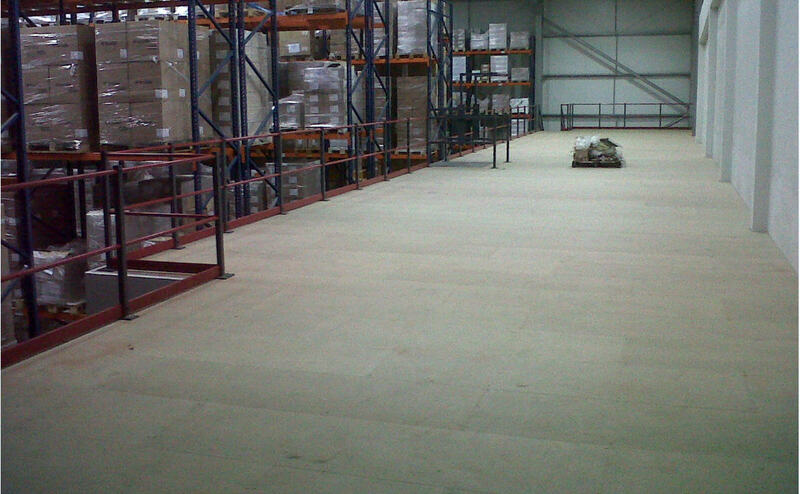 The mezzanine floor solution effectively gave the customer more than double the existing space! 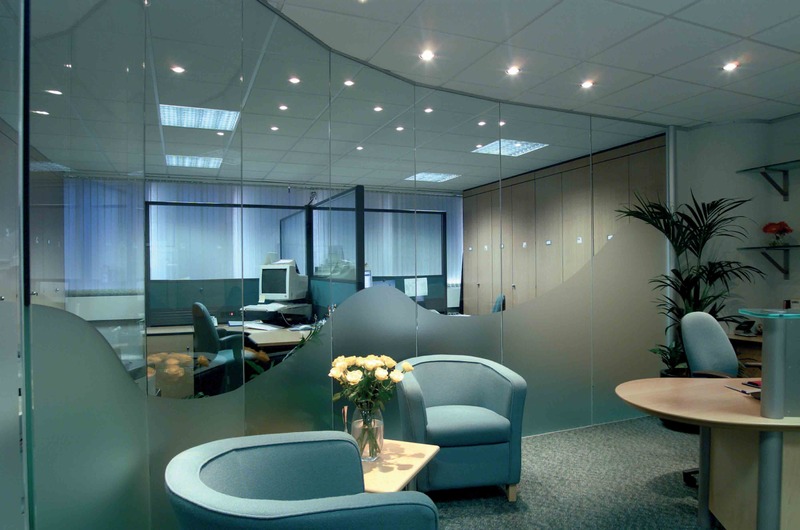 Cubex Contract’s Andy MacKenzie designed and planned the mezzanine installation after a visit to the customer’s workshop. 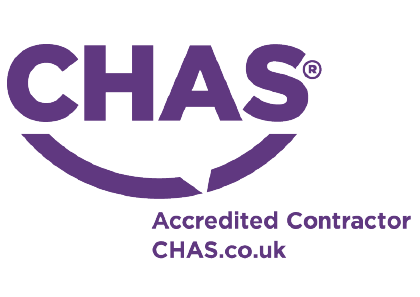 Once the project plan was approved, we notified Building Regulations prior to the installation date and arranged for a forklift to be on site for the day to assist the team. The site is cleared and the space is now ready for the installation of the mezzanine floor to begin. The new mezzanine floor providing a live load of 4.8kN per squ metre and up to 500kg point loading is completed – less than 8 hours after the first photo was taken. 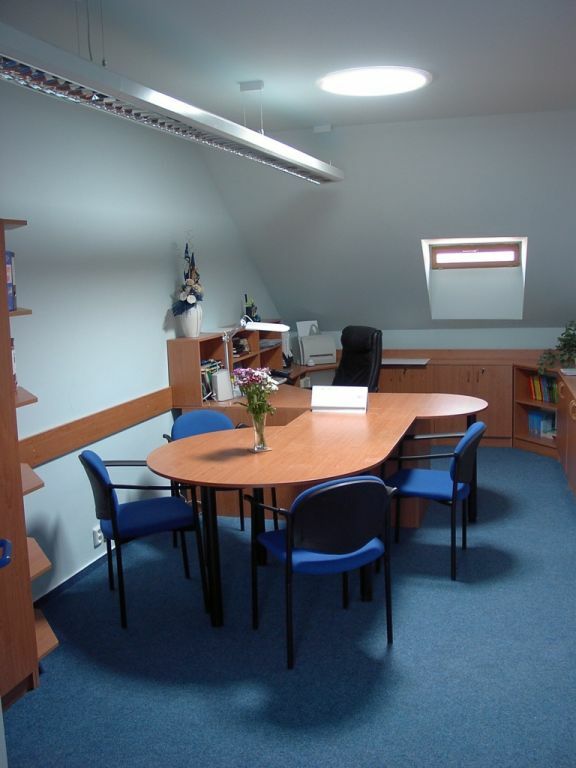 Need your existing space to work harder? 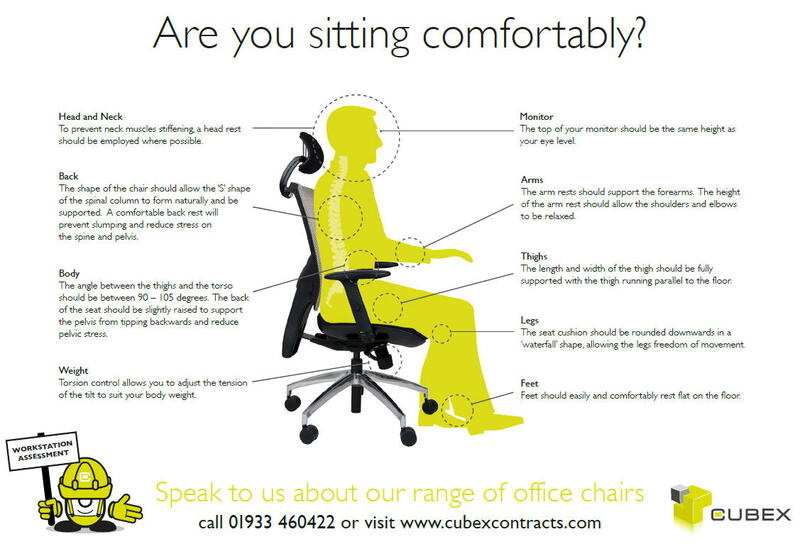 Cubex Contracts are specialists in finding usable space in existing offices, factories and warehouses. 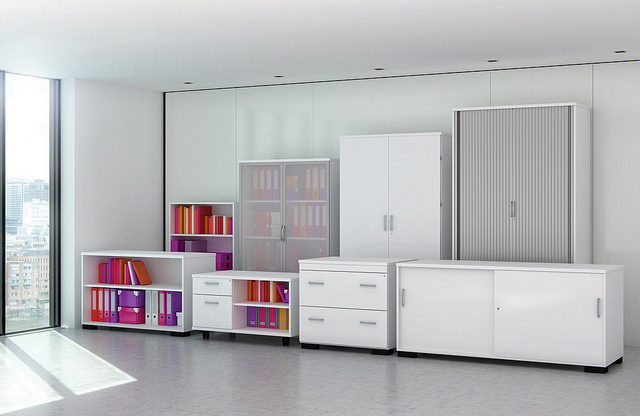 If you need more room for people, products or storage and don’t want to move your business to new premises we might be able to help.